This listing is for a separate downstairs unit only It has two bedrooms and a pull out sofa couch so it is ideal for a couple and 2 children but there is a pull out sofa couch if you wanted to squeeze one or two more people in. The unit comes with a single garage so your car can be off the street. It has a big back yard and it is only a 30 second walk and you are on the beach. Check out our other listing ref 20010974. This property is right next door. It sleeps 6 people. Highly recommended. Conveniently close to the beach so the kids could go there repeatedly during the day. Clean and tidy unit. We had a great holiday. Great location, nice neat bach. And super friendly owners. Property is very close to the beach. There is a cafe across the road and the apartment is very clean and well appointed with everything needed for a relaxing beach holiday. 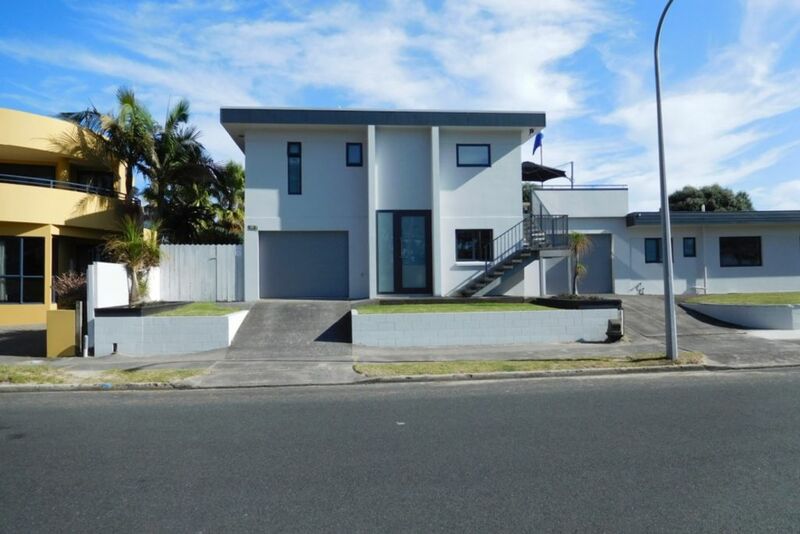 Property was perfect for what we wanted and in a prime location with the main beach and surf club only 50 m away. It was still an easy walking distance to town and had a cafe across the road. Will hopefully get to stay there again in the future.